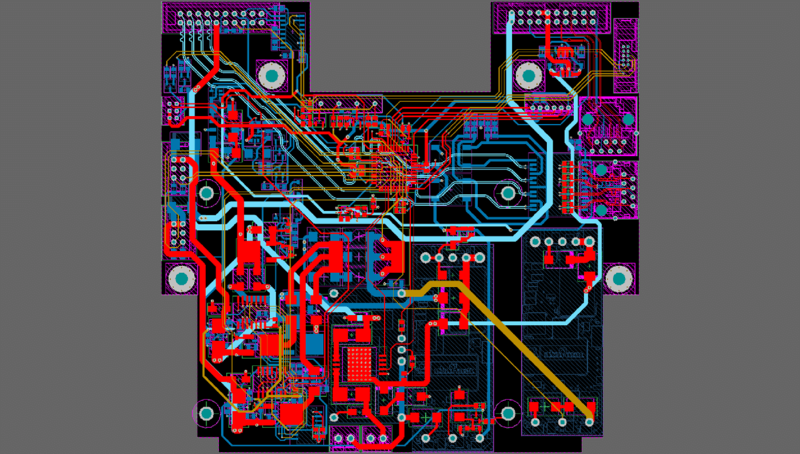 This PCB Design was mechanically complex and required a section of components to be rotated at +- 15 degrees from the standard rotations which made the routing a little more difficult. This board also had a couple custom ICs that required specific routing and length tuning. 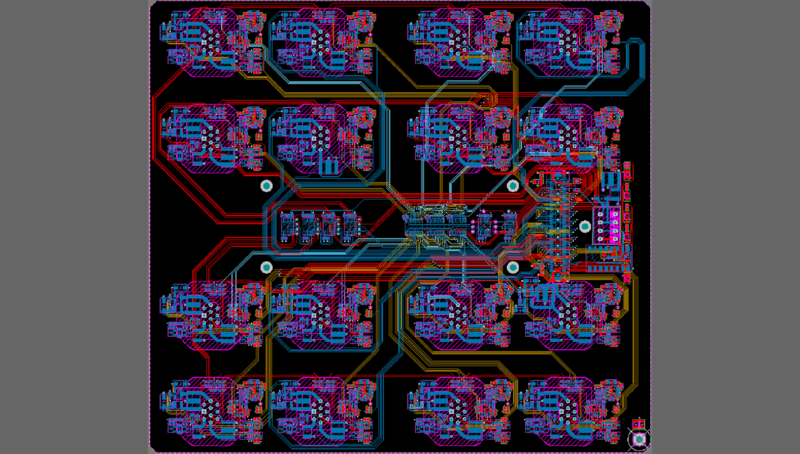 This PCB Layout was fairly dense and required very tight spacing due to mechanical constraints. This board also had 12x separate 6G SATA lanes and 2x 10G Ethernet lanes. This design utilized a large Xilinx Virtex 7 and utilized many of the available transciever lanes. 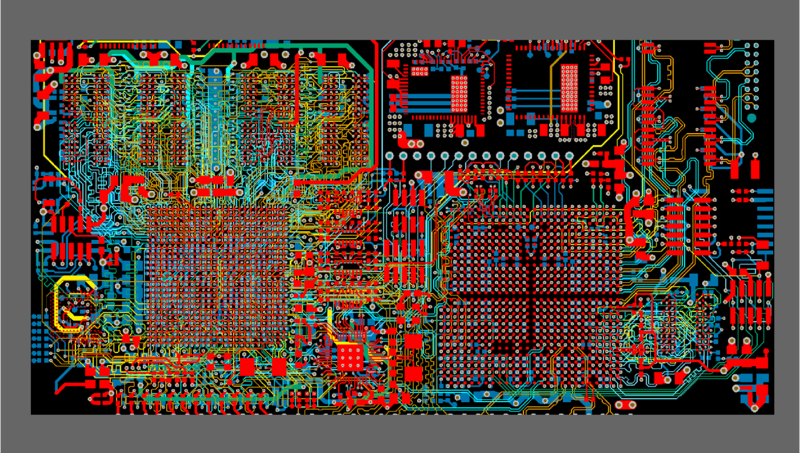 This PCB Design had stringent requirements that required attention to detail and patience. This board had two Zynq 7000 SOCs and two Xilinx Artix 7 FPGAs. This board utilized high speed SATA communications. This project was fairly simple and did not require any complex mechanical constraints or high speed interfaces. The design did have some anti-aliasing filters that needed symetrical layout. This project was simple and did not require any complex mechanical constraints or high speed interfaces. The design had some tight mechanical requirements as well as some USB signaling. This project was extremely dense and had stringent mechanical requirements. 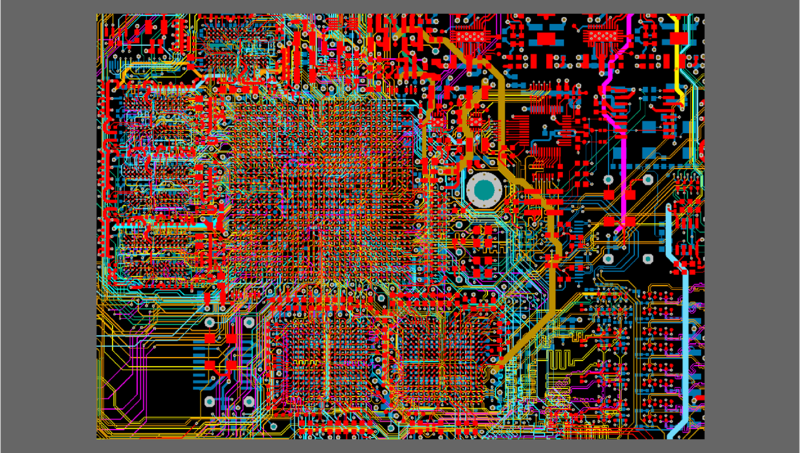 This pcb layout had high current supplies and high current FET H-Bridges along with sensitive analog circuitry. 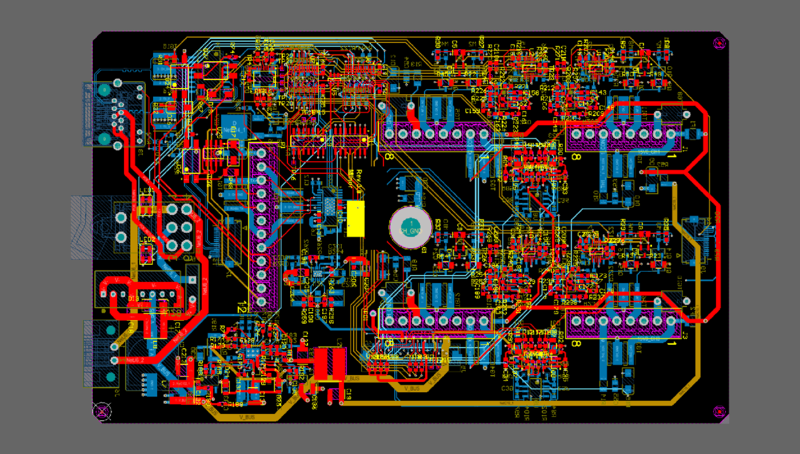 This PCB Design was challenging due to the size of the circuit board and density of the components and routing. This board was 4.25" x 3.00" and had 1,450 components. This design had a Altera Cyclone V SOC with tightly placed DDR3 along with a 11-port Microsemi Ethernet Switch. Placement and routing density was very high. This design project was fairly simple but needed some specific placement of connectors and components. 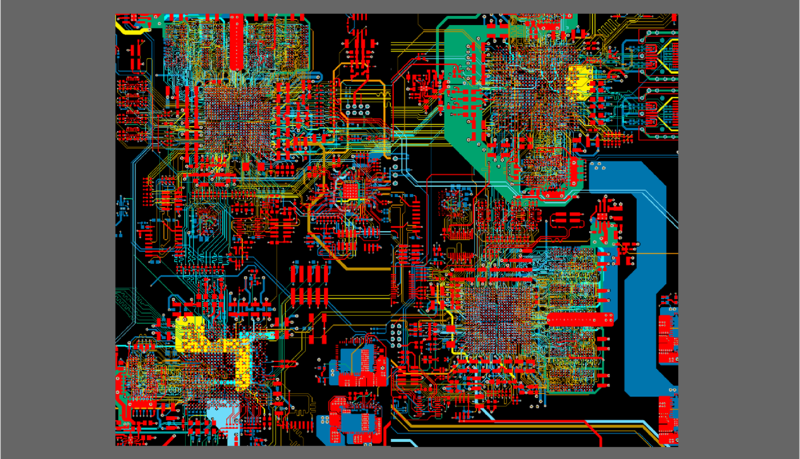 This PCB Design was challenging due to the size of the circuit board and density of the components and routing. This board was about 5" x 4" and had 1,600 components. 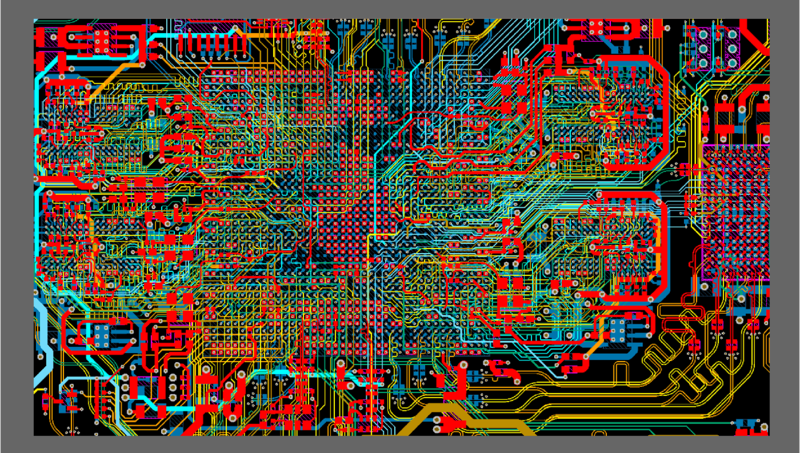 This PCB Layout consisted of 16 identical anti-aliasing channels that all needed to be routed to a single 168 pin connector. Using Altium's multi-channel features greatly reduced the turn time for this project. CHECK BACK OFTEN TO SEE WHAT WE ARE CURRENTLY WORKING ON!! !